At Bob's Service Center, our first priority is providing our customers with high quality service and professional work. We began as the home of Chevrolet repairs in Spokane and continue to be the choice of Chevy owners. 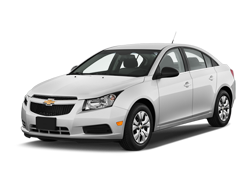 The Chevy line includes the Spark, Sonic, Cruze, Volt, Malibu, Impala, SS, Camaro, Corvette, Equinox, Traverse, Tahoe, Suburban, Colorado, Avalanche, and Silverado; and we service every model. 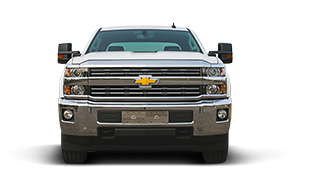 We have a dedicated and friendly staff as well as a team of ASE Certified Technicians who are experienced and highly knowledgeable on all Spokane Chevy repair and service needs. If your vehicle is in need of repair or the time is approaching for maintenance, we strongly encourage you to bring your vehicle in. The longer you put off either repairs or maintenance, the more likely you are to do further damage to your Chevrolet. It is far less expensive to handle small issues early than to allow them to go unfixed and deal with large repairs later. So, if you are in need of an oil change, filter replacement, brake adjustment, or new spark plugs, we are here to assist you. We back all of our repairs with our warranty and offer competitive prices. Make an appointment with Bob's Service Center for your Spokane Chevy repair or service today!